We care about your kids. And pets, too. So, when it comes to safety, we take our role seriously. We offer a wide range of cordless products and other features, which are certified Best for Kids, to help reduce the risks of accidents. And we encourage you to assess all windows in your home for potential risks. 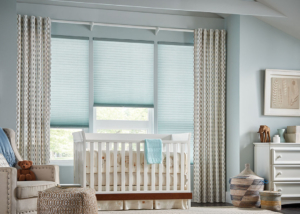 Express Blinds, Shutters, Shades & Drapes supports and promotes the following safety checklist in conjunction with the Window Coverings Safety Council and the Consumer Product Safety Commission. Download the Checklist for Child Safety Here. The WCMA recommends replacing all window coverings made before 2001 with today’s safer products, and using cordless window coverings in children’s bedrooms and play areas. 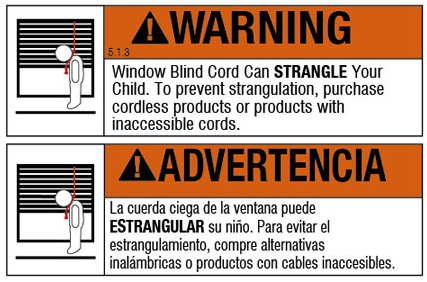 If replacement isn’t an option, we can also properly install you FREE Child Safe Retrofit Kits, from the Window Covering Safety Council, that modify blind or shade cords to reduce the risk of strangulation.